Jeff Woo’s calm and reassuring personality, combined with his professional customer service skills and a strong understanding of the process of sales ensures that his clients receive exceptional caring advice and service. His success in business has always been based on listening to his client’s needs and delivering exceptional customer service beyond expectations. With an extensive background in business, Jeff Woo has worked for Ray White Northbridge for a number of years in Northbridge and other areas of the Lower North Shore. His quiet, gently and honest nature together with his commitment to customer service is constantly recognised by his clients. Jeff Woo, together with his wife Denise and their family live in the Lower North Shore. He has three children attending local primary and high schools and together with his wife, have built up a reputation of trust and commitment within the community. 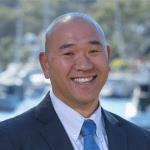 Jeff Woo is focused on understanding his client’s needs and delivering a service second to none. With his extensive local knowledge, having lived in the Lower North Shore for over thirty years and his commitment to results, combined with the international brand of Ray White, when you select Jeff Woo and the team at Ray White Northbridge, your expectations will be assured. To achieve the premium price, the auction process would be the preferred strategy, this gives the buyer a deadline of 4 weeks to have his finance in place and their solicitor to review the contract. It is beneficial to price a property correctly during the marketing campaign. When buyers see value in a property it encourages them to compete and the end result will reflect on how the property was marketed, the performance of our team and the interaction with our buyers. They handled the whole procedure from the open house through to weekly updated reports in such a professional manner. On the day of the auction the whole family felt at ease. Jeff & Denise found a buyer to meet our needs for a longer settlement. Our Mum is delighted that her house sold $300,000 above the reserved price. I wouldn’t hesitate to recommend the Ray White teams at Northbridge or Willoughby to other sellers. They are a great team. Frank is still buzzing about the result he obtained before action. I think the big difference was the speed at which Jeff & Denise organised the trades for the property to receive a fresh coat of paint, new floors, carpet and some bathroom items updated. Without the trade contacts that were engaged to perform the work I’m sure we would have had a slower time to market and a job that would not have been executed so efficiently. Jeff was patient with Frank and managed the situation well. Phenomenal result with attention to all aspects of the sale. "We had the privilege of meeting Jeff & Denise during one of the many open inspections that we attended on Saturdays while looking to purchase a house in the Willoughby area. From the day one that we met, they knew exactly what we were looking for and showed us our dream house within our budget. My husband and I really enjoyed working with Denise and Jeff during the process of this purchase and we would definitely recommend them to our family and friends without any reservation! The lovely couple helped us tremendously through the decision making phase and explained the benefits of living in the area. Jeff & Denise, it is our great pleasure to know you guys and thanks for helping us buying our dream house!"